Overall I thought it was an okay film. On it’s own it’s a fun little adventure. But since it is the 5th film of the franchise it asks to be judged as part of the whole In that instance I will say it’s not as good. But I don’t think that’s the fault of this film. It is asking a lot of a film franchise that initially started in 2003 and wasn’t even planned at the time of being a film franchise when the first. I’ll always say the first Pirates film is my favorite. I still remember seeing the first one in a movie theater up in Alaska where I was spending the summer working at a youth camp. 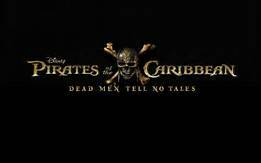 The story of Jack Sparrow, Will Turner and Elizabeth Swan was a compelling one. But with each successive film, it seemed to lose the heart of the first film. By the time of the fourth film On Stranger Tides it really felt like it hit bottom. I made the comparison on Twitter that Dead Men Tell No Tales feels an awful lot like Rocky Balboa to the Rocky series. The reason why I thought that as I walked out of the theater was because how this film has been somewhat portrayed in trailers as the “final adventure”. It seems to try and “right” some of the “wrongs” of the last film and finish off the story of Jack Sparrow. For those that don’t remember, Rocky Balboa came nearly 16 years after the last Rocky film (Rocky V). To me Rocky V is one of those movies that doesn’t exist in my personal canon of films because it’s so bad. It was always a bad way to send off Rocky. But then Rocky Balboa released and was a better sendoff to the franchise and the character. And while Creed has spun off and done it’s own thing, there was closure with the Rocky series. I think On Stranger Tides is the Rocky V of the Pirates series. There is no Will Turner or Elizabeth Swan in that film. The story itself feels a little disjointed and there wasn’t any closure. Dead Men Tell No Tales at least delves back into the history of Sparrow. It helps bring the Turner/Swan story back through Will & Elizabeth’s son Henry (as well we get cameos of Orlando Bloom & Keira Knightly) and we get Jack Sparrow sailing off at the end of the film. Granted given the after credits scene they could spin off and do more with Will/Elizabeth/Henry and Carina in a Creed type spinoff, but I think the story (at least of Jack Sparrow) should end here. It’s been said of musical or comedy acts that one should always leave the audience wanting more. You don’t want to overstay and the act get boring or not entertaining. In some ways stories can be that way as well. There should be at the end of the story a desire to want more but at the same time leave it to the imagination as to what that more is. Granted it’s a balance between telling more of the adventure and leaving that desire to dream of what’s there. Could there be more adventures out on the seas for Jack Sparrow? Possibly, but sometimes it’s good to leave those up to the imagination of the audience. There may be a new adventure on the horizon for the Black Pearl but I’m happy to stay in port and remember the old ones. Now that same day two of them were on their way to a village called Emmaus, which was about seven miles from Jerusalem. Together they were discussing everything that had taken place. And while they were discussing and arguing, Jesus Himself came near and began to walk along with them. But they were prevented from recognizing Him. Then He asked them, “What is this dispute that you’re having with each other as you are walking?” And they stopped walking and looked discouraged. “What things?” He asked them. He said to them, “How unwise and slow you are to believe in your hearts all that the prophets have spoken! Didn’t the Messiah have to suffer these things and enter into His glory?” Then beginning with Moses and all the Prophets, He interpreted for them the things concerning Himself in all the Scriptures. This is one of the encounters that happened following the resurrection of Jesus. There were two followers of Jesus who were walking from Jerusalem to Emmaus. They were distraught. They were discouraged. They had lost their joy, their hope. And here comes Jesus. And for the longest time, Jesus did not reveal Himself to the two. Instead, He makes this a teaching opportunity. He spends about seven miles sharing about all that was revealed about Himself in the words of Moses and the Prophets (the Old Testament). And only at the end of the day when they were breaking bread together, did He reveal Himself to the two. I think we all have those times like the two followers. We have our struggles and doubts We lose hope and faith in the midst of hard times and struggles. But like those two, we need to be reminded again of the truth. That Jesus is alive. That He did rise from the grave. That is has all authority. And He loves us and wants us to keep being faithful. This week, let us be reminded of the hope that we have in Christ. And let us keep being faithful in following Him on the road that we are walking on. “Now may the God who gives endurance and encouragement allow you to live in harmony with one another, according to the command of Christ Jesus, so that you may glorify the God and Father of our Lord Jesus Christ with a united mind and voice. We live in a world with a lot of discord and disharmony. There is a lot of division. Sin divides us. But Jesus brings us together. Paul wrote to the church in Rome and reminded them of this. On their own, there is division and strife. But with God, there is unity. God gives us the endurance and encouragement. He gives us the hope to come together united. This is possible through the work of Jesus Christ. Jesus, who died on the cross for our sins and rose again, is able to bring together people from all walks of life. The other big thing in this passage is accepting. Paul is not saying we are to accept sins but we are to accept sinners because we all are sinners. But through the grace and glory of God, we have been accepted by the work on Jesus Christ and we can repent and turn to Him. This week let us encourage one another. Let us live in harmony and let us show love and acceptance to others and as we do point them to Jesus. He will be raised and lifted up and greatly exalted. so He will sprinkle many nations. These are the words from the prophet Isaiah. He wrote these words hundreds of years before the One who would come to fulfill this prophesy. That One was Jesus. Isaiah wrote about how Jesus would be lifted up and exalted. He wrote that he would be disfigured which Jesus was as He was beaten and flogged to the point of death before His crucifixion. But this was done so that all nations could be reconciled unto God. These verses are prior to the “Suffering Servant” chapter. Though these verses are not as well known, they as well portray how Jesus suffered for us so that “they will see what had not been told them, and they will understand what they had not heard.” Jesus came as the ultimate sacrifice for our sins and has been raised up and greatly exalted in His rightful place as the Son of God. This week let us remember and be thankful that Jesus did that for us.